This pin is a reproduction of an authentic daisy Air Rifle Button produced from 1899- 1903. Aptly nicknamed the "Beanie Boy" pin back, the original measured 7/8" diameter and was mad by the Whitehead & Hoag Co. The original pin was celluloid and had lettering that read, "Daisy Air Rifles", "Daisy M'F'G. Co" and "Plymouth, Mich. USA. This design was also used for hangtags for some of the early air rifles. The button was advertised in magazines and newspapers offering, "Daisy button and illustrated booklet, Free." 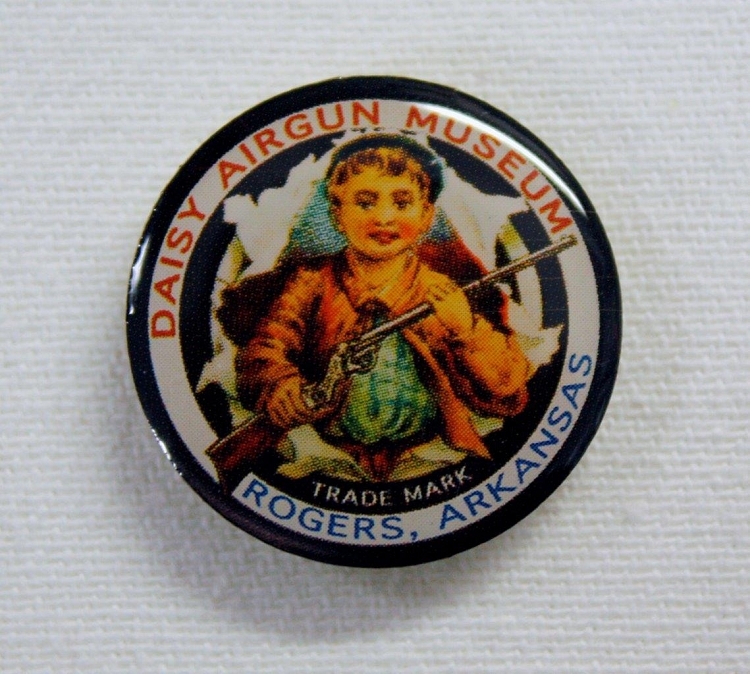 The original pins are extremely rare and the Daisy Airgun Museum has changed the copy and altered the size to protect the value of the original pins.